Today Gaijin gave you all yet another devblog, this time something a bit larger and more powerful than the I-Go. Today's tank marked a new era for Japanese tanks; no longer were armoured units solely for infantry support-- now they were for tank hunting. Today's beast may not have seen the combat she was constructed for, but the capabilities this tank provided would have marked a challenge to its opponents. Today we will take a closer look into the Type1 Chi-He. After the results of the Nomonhan Incident (Battle of Khalkhin Gol) of 1939, Japan understood what it meant to face off against a major power. Here they learned a grueling lesson of the challenge posed by combined-arms warfare. The Japanese lost the battle, but their tank corps ended up being successful when put up against the sheer number of Soviet tanks outnumbering them. The Japanese 37mm and 57mm caliber guns proved adequate against the Soviet tank units, which were dealt heavy losses. However, Japan knew they would need to design better units in order to keep up with the rapid development of modern tanks which other nations started introducing. Japan began development of a gun purposed solely for anti tank capabilities, and ended up with a 47mm cannon. 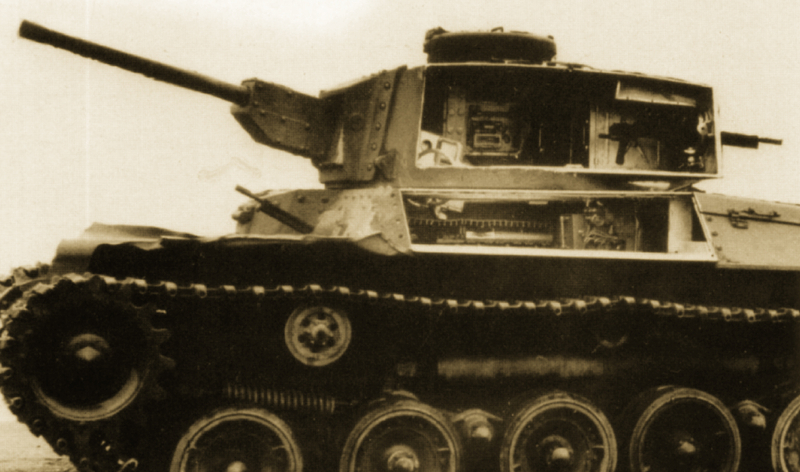 The development of the cannon began in the August of 1939, but Japan also knew a new tank chassis would have to be designed to accommodate the 47mm. Chi-Ha Kai with the Shinhoto turret and 47mm gun. In early 1940, the Japanese Technical Bureau began development of a new tank, which was to be named "Chi-He," based off of the Chi-ha. The tank was to focus heavily on increasing the base armour of the original vehicle, as the Chi-Ha was increasingly seen as inadequate in defensive properties. 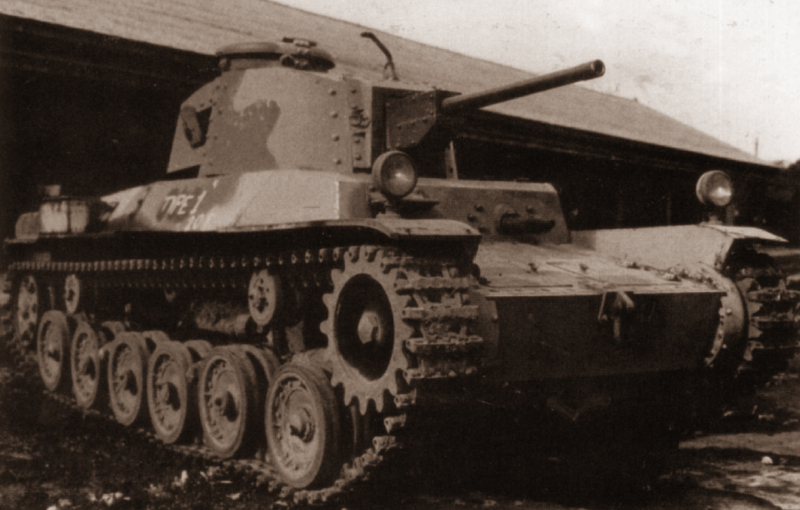 At the time of development, the Japanese military had been testing an experimental tank, the Type99 Chi-Ho, which mounted one of the original turrets designed for the Chi-Ha tank and the test model of the 47mm. 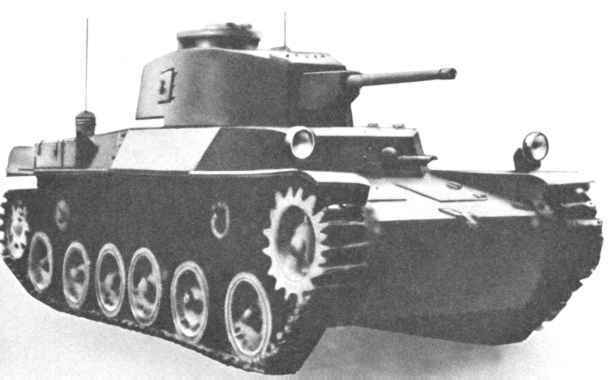 The tank never was approved for service, but the turret was selected for further development, and would later become known as the Shinhoto turret. The Japanese needed to produce large quantities of tanks without the reliance of heavy industrial capacity, in order to achieve this the shinhoto turret was selected for use on the already battle proven Chi-Ha chassis. This tank was designated the Chi-Ha Kai, and when the 47mm was completed in 1941. The newly completed Type 1 47mm, the gun was mounted on the Kai model for deployment throughout Japanese territories. The Chi-He project decided to use the Chi-Ha Kai's shinhoto turret and advance on it. The shinhoto turret was still spasely armoured like the chassis of the Chi-Ha, and lessons learned from the Chi-Ho indicated that welded face-hardened steel was the best way of improving the armor of the tank. This differed to the standard tank construction method of using riveted connection of steel plating. Production of the prototypes began in late 1941, but was delayed due to the successful results the Chi-Ha Kai achieved in the field. It took until September of 1942 for the first prototype to be completed and tested. Development of the Chi-He was assigned to Mitsubishi Heavy Industries, the primary manufacturer of the Chi-Ha medium tank. The tank was characterized by its single flat armour plate at the front, whereas the Chi-Ha had a protruding drivers port with a slight curvature. With the removal of the diver’s armored vision port, the hull of the Chi-He was lengthened by a few centimeters. This enabled the addition of a crew hatch which would have been impossible with the design of the Chi-Ha. The armour plates had a thickness of 50mm at both the upper and lower frontal plates. The Chi-he was given two headlamps on both the right and left fenders as opposed to the Chi-Ha's single center mounted light. On the sides of the Chi-He's hull were two vision slits for the crew inside, in order to improve on the poor visibility offered to the driver by the Chi-ha-Kai. As per requirement of the Army, the Chi-He was to use only singular and straight planes in the design structure. This would increase the overall length of the Chi-He to 5.7 meters, whereas the Chi-Ha Kai remained at 5.5. Type1 Chi-He captured by the U.S. intel in 1945. The turret was kept practically identical to the Kai's, however the turret received bolted armour shielding around the front, giving the turret 50mm of armour in total. The mantlet ring was held together by a riveted 60mm frame. The sides and rear of the turret, however, remained at just 25mm thickness. The crew of the turret increased from 2 to 3, giving the Chi-He a total crew count of 5, opposed to the Chi-Ha's 4. The additional turret crew-member was stationed behind the gunner to the left side of the turret, and was given the task of loading the gun. The additional space provided by the Chi-he’s hull also allowed for stowage of 121 shells as opposed to the Chi-ha’s 101. Rear view of the Type1 Chi-He. The tank was also given a new engine that brought a unique feature into the fold. The newly developed Type 100 air-cooled diesel V12 engine achieved 240 horsepower with 2000rpms. The Chi-He achieved speeds of 48 kph on roads and 39 kph offroad. The engine was an improved model of the Chi-Ha's 170hp SA12200VD. In order to fit, the engine compartment had to lengthened and the sloped upper armour had to be replaced with a flat plate. The rear plating consisted of a vertical upper plate and a sloped lower plate, which were welded together. The total thickness of the rear hull was left with only 25mm. Chi-He's 15 degrees of gun depression. Such changes meant that production of the Chi-He kept being delayed until the development of the tank was completed in 1943. It was only then the Army staff took the tank and tested it against the Chi-Ha Kai. Naturally, the tank outperformed the Kai in all categories. During the tests, the Japanese used a Type96 15cm cannon against the Chi-He. The tank was shot from an angle diagonal to the chassis's right side, and survived the shot. However, the tank's riveted plates were torn apart and the damages were deemed unsalvageable. The welded plates kept intact from the blast. 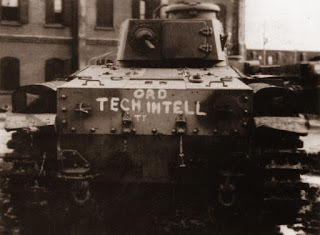 The tank was given the designation Type 1 Chi-He, and was ordered to be produced immediately. However, it was 3 years late and by this time the tank was already outdated compared to the quickly multiplying M4 shermans. The first 5 units rolled out in February of 1944. By the end of the war in 1945, a total of 170 units were manufactured. Despite this number being fairly large for a Japanese production run of the period, the tank never saw combat. This was because the tank was kept at the home island of Japan under the homeland defense act. Here the Japanese kept most late war tanks for preparation of a possible US invasion of the home islands of Japan. 15 degrees of gun depression? Gettin' ready to snipe behind hills all day! I read somewhere that the early jsdf used these, can someone confirm that. No. These tanks were destroyed after the war and scrapped. Are you I've been getting a lot of my info on armoured vehicles from here Japanese tanks included. The website is in Russian so have Google translate on standby. The turning point of Japanese Armor......It may sound odd but for me it was the infantry support focus of early Japanese tanks that really got me hooked in the first place. "During the tests, the Japanese used a Type96 15cm cannon against the Chi-He. The tank was shot from an angle diagonal to the chassis's right side, and survived the shot." Hello! In case you are unaware I run a small youtube channel of just over 7500 followers for war thunder. Every time Gaijin begins to pump out devblogs on new tanks I generally will put out an episode of what I like to call Devblog Chats. However in regards to japanese tanks I have very little knowledge on their background and more than a few of your readers have pointed me to your blog. All I have to say is that I am blown away with the level of detail and background information that you layout here. You are doing fantastic work. I also came to ask your permission to use your blogs information in some of my videos with the obvious link in the video description and shoutout to bring more readers to your blog which you have put so much time and effort into. I simply ask out of courtesy to you and your hard work. Let me know if this is okay with you. Of course, this is more than fine. I am glad you have received interest in my blog. I hope I can be of help in the future. Awesome! If I have any further questions I will be sure to send them your way! My name is Seon, you are free to contact me privatley via gmail or my forum profile, Mai_Waffentrager, anytime. Believe me I will do so when I have questions without hesitation. See, I do not want to simply copy paste what you say in your blog because that would be defeating the purpose of drawing the attention your blog deserves, but I do plan on sort of summarizing the material in a way that makes people interested in reading more into it. Also just call me Miles. Not only in the Japan home island, But also Jeju island. The Picture shows the 58th military were scrapping tanks from Altr Airfield in Jeju island. Chi-he were placed in right side. Japan considered our island part of the homeland defense sector.